Help kids learn number names with these fun Number Names Puzzles. These are LOW PREP, reusable,and lots of fun for preschool and kindergarten age kids. See all our other Kindergarten Math – FREE Worksheets & Activities! 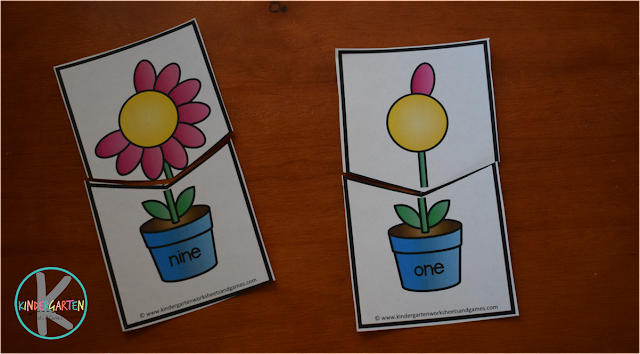 These colorful flower Number Names Puzzles are such a fun way for kindergartners to practice counting and identifying number words, with a fun spring theme. This is such a fun, LOW PREP math activity. First, print the download in color on cardstock. Then laminate for durability. Plus by laminating you can use it with a dry erase marker so that you can use it again and again. After you have cut them apart, store them in a ziplock bag for easy storage. 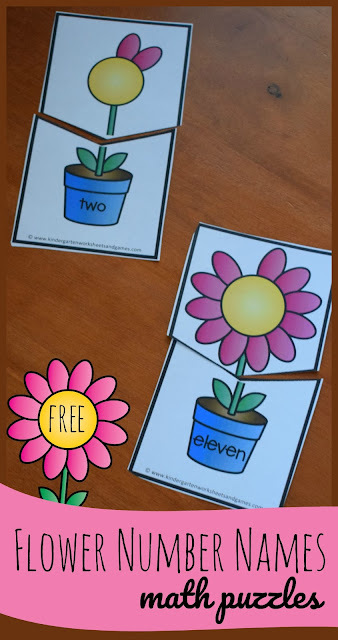 Students will count the pink petals and then match the flower with the blue flower pot with the correct number name. 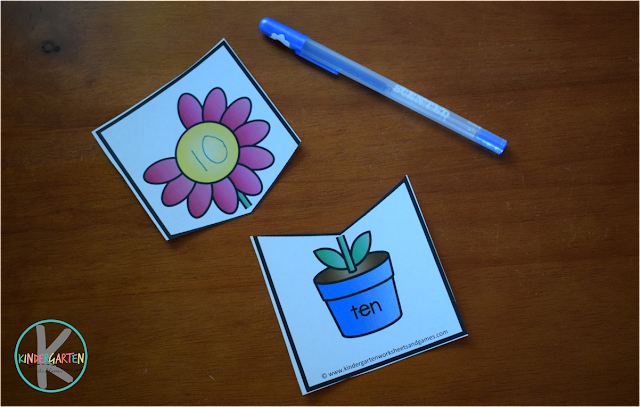 HINT: I suggest using a dry erase marker to write the number of petals on the flower for extra practice.